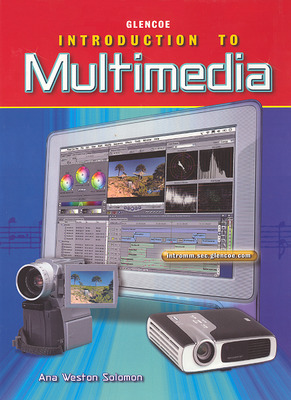 Glencoe’s Introduction to Multimedia is an essential classroom resource that enables students to understand the fundamentals of multimedia and provides hands-on practice with multimedia tools and skills. 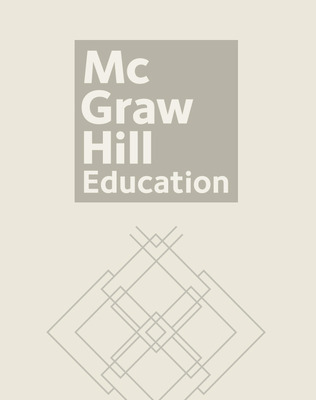 Independent and collaborative exercises promote an interactive learning environment within a project-based framework. Team projects provide students with practical experience of how a multimedia program comes together – from discussing project goals and varying team-member roles, to how to organize and create a project from start to finish. Glencoe’s Introduction to Multimedia is an essential classroom resource that enables students to understand the fundamentals of multimedia and provides hands-on practice with multimedia tools and skills. This complete guide describes types of multimedia productions, how multimedia affects society, and the components and tools that are used to produce a multimedia product. Independent and collaborative exercises promote an interactive learning environment within a project-based framework. Team projects provide students with practical experience of how a multimedia program comes together – from discussing project goals and varying team-member roles, to how to organize and create a project from start to finish. Also included in this highly visual book are topics such as multimedia careers, ethics, and practical tips for improving productivity. An accompanying Web site and Teacher Resource CD-ROM provide additional projects, assessments, and resources for teachers and students. Student data files and multimedia examples, included on the CD, give students immediate access to live documents and allow them to analyze and manipulate multimedia files and create their own multimedia projects. The companion Teacher Resource Guide provides teachers with a comprehensive course overview and includes lesson plans, answer keys, black line masters, and professional development tools.